Hello and welcome! 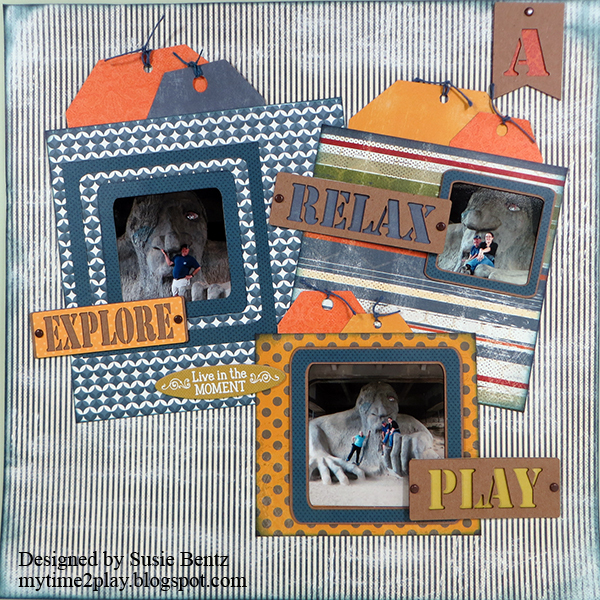 Susie here today to share a layout I created using the June Club Q kit. 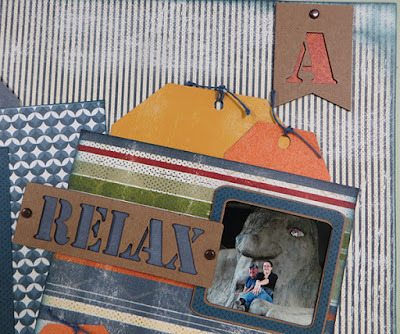 If you like happy colors, fun patterns with a relaxed feel and amazing chipboard embellishments then this is the kit for you! The 3 large blocks of patterned paper I used in the center of the layout come pre-cut. 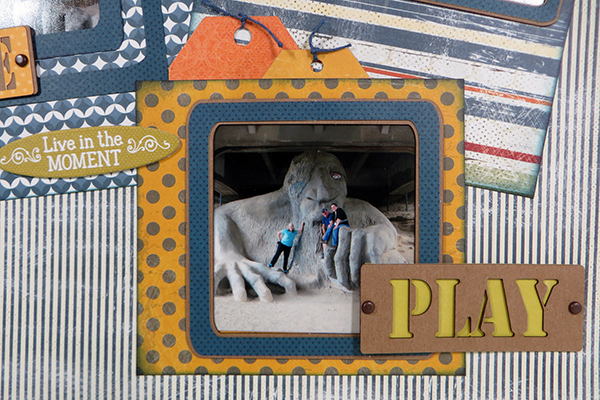 In fact almost all of the elements I used on this layout come pre-cut, which makes it super easy to create! I arranged them to my liking and then started layering. 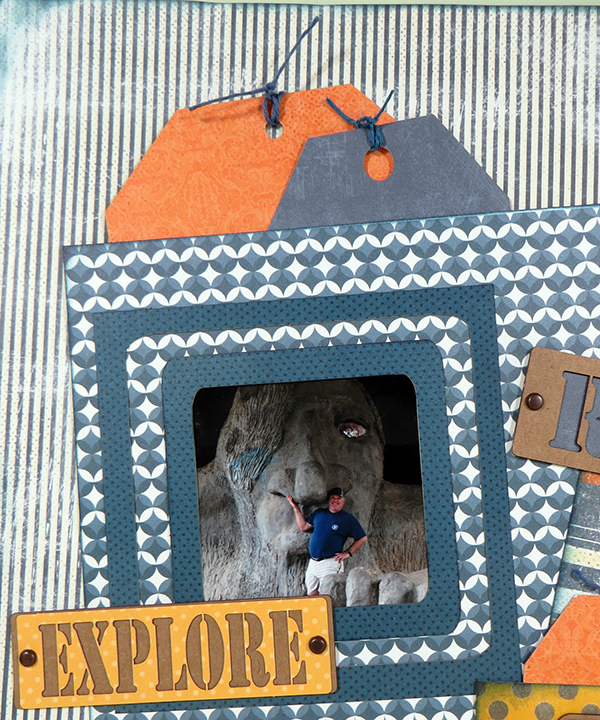 Tags in the back and pre-cut frames on top. 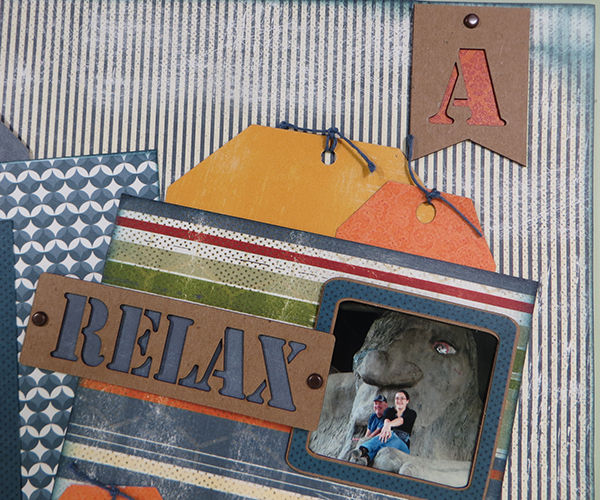 The kit is packed with words and shapes in chipboard and colorful paper! Some of the frames are designed to layer with the chipboard on the bottom and a slightly smaller paper one on top. Don't you just love the little banner in the corner? "A" is for Adventure! I inked the edges of the layout and the main blocks of paper using the Navy PowderPuff Chalking Ink. 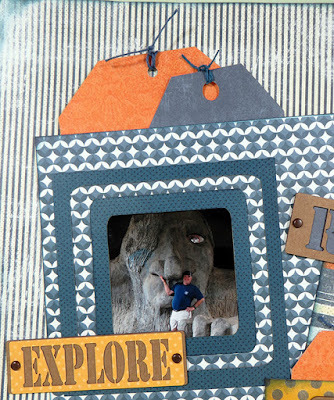 The words and colors in the June Club Q Kit are perfect for scrapping pictures from your summer vacation adventures!